Dr. Bombardier is a widely published clinical researcher and rheumatologist. She is the Senior Scientist for the Toronto General Research Institute, past Director of Rheumatology for the University of Toronto, and former Co-Scientific Director at the Canadian Arthritis Network. Dr. Bombardier holds a Pfizer Research Chair in Rheumatology and a Canada Research Chair in Knowledge Transfer for Musculoskeletal Care. She is an international expert for quality improvement research, and has led the development of guidelines for the safe pharmacologic treatment of rheumatoid arthritis patients in Canada and abroad. 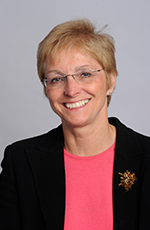 Dr. Bombardier has published more than 345 scholarly articles, and has received many international and Canadian awards, including the Queen Elizabeth II Diamond Jubilee Medal in 2013, and the prestigious American College of Rheumatology Master Designation Award for her outstanding contributions in the field of rheumatology. In 2005, Dr. Bombardier founded the Ontario Best Practice Research Initiative (OBRI – www.obri.ca) to monitor the safety and efficacy of treatments for people with rheumatoid arthritis to improve treatment and quality of care for people in Ontario. Her commitment to excellence in rheumatology is recognized, and as a Principal Investigator brings research expertise and visionary leadership to the OBRI team. 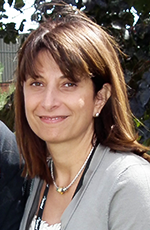 Sandra Couto is the Director of Partnership and Stakeholder Relations at OBRI. With more than a decade of work experience in the pharmaceutical industry, she brings a wealth of medical sales and marketing experience to OBRI. Sandra is responsible for representing OBRI’s value portfolio and building collaborative partnerships with researchers, patient groups, government, and private health insurers. With the move toward electronic health records, Couto leads OBRI’s integration plan for seamless data collection at the physician/patient point-of-care interaction. Couto holds a B.Sc. from the University of Toronto and a B.Sc. in Pharmacy from Memorial University. 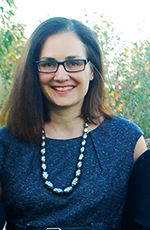 As the Clinical Research Coordinator for OBRI, Angela Cesta works closely with OBRI analysts, programmers, data entry staff, and interviewers to manage OBRI data collection and research activities. Her responsibilities include managing research ethics protocols, supervising internal operations, preparing reports, advancing research questions, and engaging with patients through the OBRI Patient Advisory Committee. 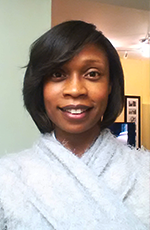 Angela is a Certified Clinical Research Professional and holds a M.Sc. in Epidemiology from the University of Toronto. 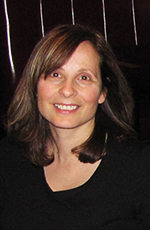 She has over 20 years of clinical research experience in Sleep Disorder Medicine and Cancer Research. 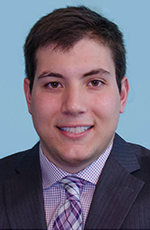 As a Research Associate II, Dr. Movahedi conducts OBRI data analysis, develops and answers OBRI research questions, and produces abstracts, posters, and publications in partnership with JSS Medical Research. Before joining the OBRI team, Dr. Movahedi worked as a researcher at the University of Leeds, UK where he managed and analyzed data for a large chemo-preventive randomized trial exploring the preventive effect of aspirin on risk of colorectal cancer incidence. He also worked as researcher at the University of Manchester, UK from 2011 until recent investigating steroid safety in patients with Rheumatoid Arthritis using Clinical Practice Research Datalink (CPRD), a database of anonymized UK primary care electronic medical records. Dr. Movahedi has many years of research experience, with publications in high-impact scientific journals (e.g. The Lancet, The Lancet Oncology, Clinical Oncology, and Arthritis & Rheumatology), presentations at national and international conferences (e.g. ICPE, ACR, BSR), and 5 years of teaching experience as an assistant professor of Epidemiology teaching Principal of Epidemiology, Research Methods, and Epidemiology of non-communicable diseases at the Beheshti University, Iran. He also currently serves as a reviewer for a number of peer-reviewed journals. 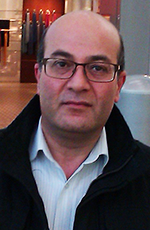 Dr. Movahedi holds a PhD in Clinical Epidemiology from University of Leeds, UK, and a Medical Degree (MD) from Tehran University, Iran. We are very pleased to welcome him to the OBRI team! As the Study Site Coordinator for OBRI, Carol Mously works closely with OBRI investigators and site coordinators to ensure data collection and queries are effectively managed and communicated back to the OBRI Data Management Centre. With a B.Sc. degree from the University of Toronto, and over 25 years of experience in the field of Sleep Disorder Medicine, Carol brings expertise in project management, event planning, and research coordination to the OBRI team. As the Data Manager for OBRI, XiuYing Li manages data storage, cleaning, and analysis at the OBRI Data Management Centre. Her responsibilities include managing data and conducting statistical analysis for OBRI abstracts, posters, publications, and industry and investigator reports. 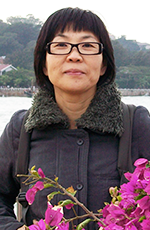 Before joining the OBRI team, XiuYing Li worked as a Cardiologist in China. She has a M.Sc.in Epidemiology and Biostatistics from Tsinghua University, training in Biostatistics from the University of Toronto, and over 14 years of statistical research experience. 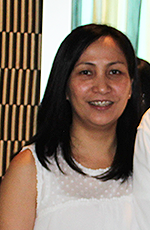 As the Budget and Finance Manager, Leanie Culanding monitors and sets up new accounts, manages site payments, and provides quarterly financial reports for OBRI. As the Administrative Assistant, Cheryl Dawson-Titus manages administrative tasks and logistics for the OBRI research team as well as for staff within the University Health Network’s Division of Support, Systems and Outcomes. Mark Tatangelo is a PhD student at the University of Toronto in the Institute of Health Policy Management and Evaluation. His research focuses on conducting an economic analysis of RA medications using large clinical cohort data linked with administrative data to inform optimal care delivery for RA patients. His research interests include trend and utilization patterns for high-cost drugs, population-level economic analysis, and the use of novel applied statistical methods for observational research. Before beginning his PhD, Mark completed an undergraduate degree at the University of Waterloo and worked in the University Health Network’s Division of Support, Systems and Outcomes.